HDR uses a panel technology to deliver a wider colour range and contrast, and it’s very much about brightness and illumination. To view HDR content, you need to have a TV that is compatible with HDR, it’s as simple as that. 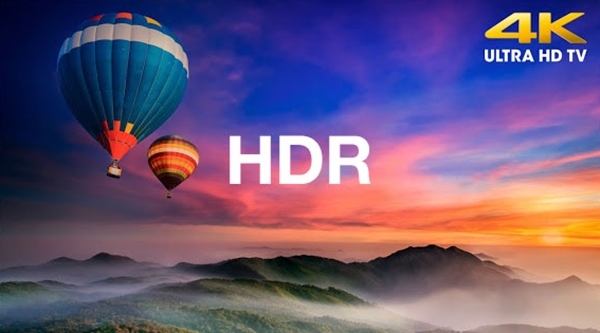 Although HDR has been talked about for a few years, there are now a set of standards for it, aiming to ensure that consumers are getting some sort of parity in HDR delivery across different devices. HDR-capable TVs are marketed as 4K televisions. Many HDR TVs have a backlight system that can output about 1,000 nits peak brightness, whereas standard HDTVs typically only output 100 nits, which is the level that Blu-ray and standard TV content is specified to. 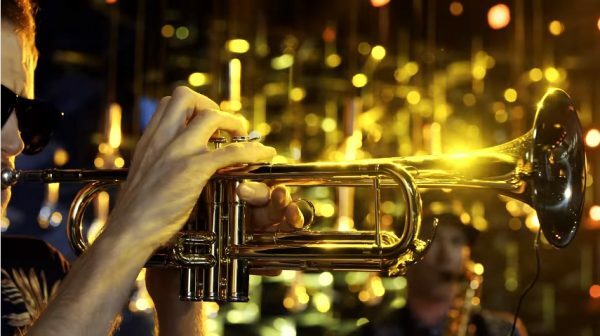 Nits refer to the brightness, although this isn’t used uniformly when watching HDR content – this only refers to brightness in particular places, those highlights in a scene. Using an increased brightness range and a wider colour gamut, HDR can recreate visuals that were not previously possible. However this is not about absolute brightness it is about the range, so although you will see some LCD manufacturers talking about 1000 nit brightness, others, like OLED, might be offering 800 nits. Because both offer a wide range, they both have that ability to carry the HDR logo. When it comes to colour standard HD TVs offer an 8-bit video specification known as Rec. 709 or BT.709. HDR steps up to 10- or 12-bit Rec. 2020, or BT.2020, which represents sixty times more colour combinations with smoother shade gradations. Those numbers do not really mean anything in themselves, they are just the standard defined by the ITU (International Telecommunications Union) and consumers will often hear TV manufacturers saying that they conform to BT.2020. HDR is being bundled together with Ultra HD (4K). 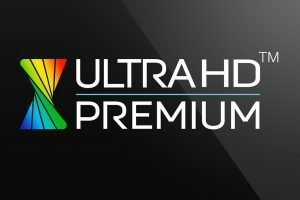 HDR is included in the Ultra HD Blu-ray spec, and the UHD Alliance has created a certification called Ultra HD Premium, which confirms that a device (e.g. : TV or Blu-ray player) meets particular standards for Ultra HD and HDR. HDR10 is an open standard in the industry, TVs will simply say it supports “HDR” and no HDR10, so the consumer will have to assume it supports HDR10 content. Most of the HDR-enabled content is in HDR10 format, and most TVs support HDR10. This is likely due to its open nature, which means content creators can use it without paying licensing fees. 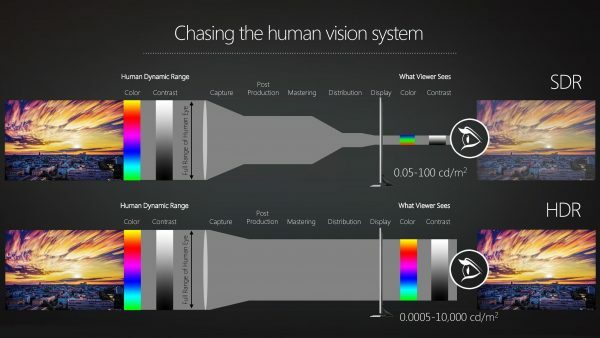 Samsung, Sony, Sharp, and Hisense are solidly behind HDR10 and currently have no plans to manufacture TVs that support Dolby Vision. LG, Vizio, TCL, and Phillips are manufacturing TVs that support both HDR10 and Dolby Vision content. Vizio did ship several TVs that only support Dolby Vision, though has now added HDR10 support via firmware updates. HDR10 support can be added via a software update, Dolby Vision can not–it requires special hardware. There are a few 4K-capable Blu-ray players that support for HDR on the market. Samsung’s UBD-K8500 and Panasonic’s DMP-UB900 support HDR, though they can only play HDR10 content. All the HDR-enabled Blu-ray discs available use HDR10–there are currently none that use Dolby Vision, nor are there any Dolby Vision-compatible Blu-ray players at present. 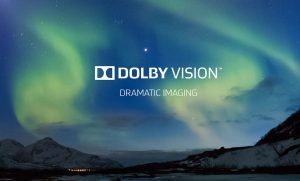 Dolby Vision differs to HDR10 in that it is designed as an end-to-end HDR process. So from capture through processing and into production, Dolby Vision is designed to preserve information that was originally captured and pass it on. It does this using metadata that is then read by the Dolby Vision decoder. The aim is to give the consumer an HDR experience that is closer to the original by supplying more information. For streaming, Netflix and Amazon currently support both HDR10 and Dolby Vision. VUDU only supports Dolby Vision and do not provide HDR10 content. 20th Century Fox does not see the need for Dolby Vision and prefers the open standard of HDR10. Universal, on the other hand, has pledged to offer Dolby Vision content on the disc when a compatible player is released. Microsoft’s Xbox One S” supports HDR-enabled games, however, the Xbox One S will only work with HDR10, and does not support Dolby Vision. You need an HDR-compatible TV to see HDR content. Vizio, Sony, Samsung, Panasonic, LG, TCL, Hisense, and most other TV manufacturer have HDR-compatible TVs (HDR10). 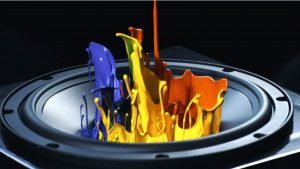 Most Ultra HD (4K) televisions support HDR in some form, and HDR is supported across both LCD and OLED TVs, this most likely HDR10 and not Dolby Vision unless specified. LG has been promoting Dolby Vision, with all 2016 4K OLED televisions supporting Dolby Vision and these are the TVs consumers will see in the UK. In the US, some Visio TVs support Dolby Vision. Samsung and Panasonic both offer Ultra HD Premium televisions supporting HDR10. Sony is also supporting HDR10, though has opted not to use the Ultra HD Premium logo, using the 4K HDR brand instead. Philips also has HDR compatible TVs, though it too does not use the Ultra HD Premium certification logo. There are also 2015 models that support the HDR10 standard, so if you bought a flagship or high-end 4K television in 2015, you probably have some form of HDR support. It is important to note that although Ultra HD Blu-ray includes HDR specification, straight forward Ultra HD does not, there are a lot of “normal” 4K/Ultra HD televisions that have no HDR support. This isn’t something that can be fixed with software either – if the panel isn’t capable enough, it can not display the colours or the brightness, regardless of the resolution. Ultra HD Blu-ray is certainly going to be one of the largest sources of UHD and HDR content. HDR is part of the Ultra HD Blu-ray specification, so films appearing in this format can offer HDR. There are currently two Ultra HD Blu-ray players from Samsung and Panasonic and neither support Dolby Vision. Dolby says it is working with the Blu-ray Disc Association and that Dolby Vision will work within normal formats. The Xbox One S has been confirmed as an Ultra HD Blu-ray player too. Netflix supports HDR content and the company has said that it is also supporting Dolby Vision and normal HDR formats. It has already started showing this content with Marco Polo, although you need a television that supports both HDR and Netflix. For Dolby Vision, only LG and Visio are currently compatible, though, for regular HDR streaming, LG, Sony, Samsung, Sharp and Panasonic are compatible. However, your TV will most likely need a software update to support Netflix in HDR. Amazon has HDR content was available through its Prime Video service. 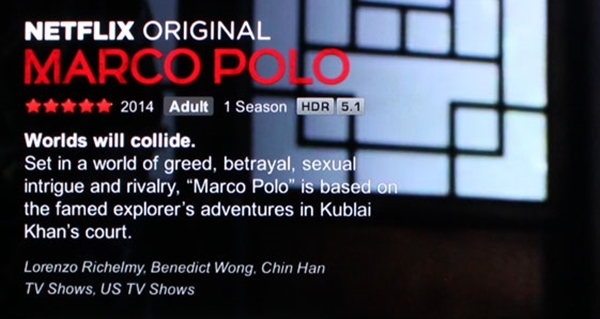 It offers episodes of its original series in HDR at no additional cost to paid Prime subscribers. You will need a compatible television, with Amazon saying that some Samsung and LG sets are compatible. It is likely that you will have to update the software. Amazon also announced in June 2016 that Dolby Vision content was available, including its original series Bosch, and available on a range of paid-for movies. Vudu only supports Dolby Vision, however, this is only supported on some Visio models. SES has launched a 24/7 Ultra-HD test channel for transmitting High Dynamic Range (HDR) content, HLG teststream. HLG stands for Hybrid Log-Gamma. SES is, with industry partners, demonstrating several technologies for enhancing the quality of Ultra-HD television with HDR, which provides much higher contrast and offers a more realistic viewing experience. The transmission is in 4K, with a resolution of 3840 x 2160 pixels, 60p and HLG Both HDR10 and Dolby Vision is being tested. Hybrid Log-Gamma (HLG) is a high dynamic range (HDR) standard that was jointly developed by the BBC and NHK. The HLG standard is royalty-free and was approved as ARIB STD-B67 by the Association of Radio Industries and Businesses (ARIB). HLG is compatible with standard dynamic range (SDR) displays. The broadcasting industry is currently in discussions to formulate a standard for HDR transmission. The goal of SES’ HDR demo channel is to allow industry partners to test the various technology candidates. At present, the channel carries Ultra-HD content from LG Electronics with a backwards-compatible HDR technology called Hybrid Log Gamma (HLG). HLG HDR content will be demoed on LG’s E6 4K OLED TV.